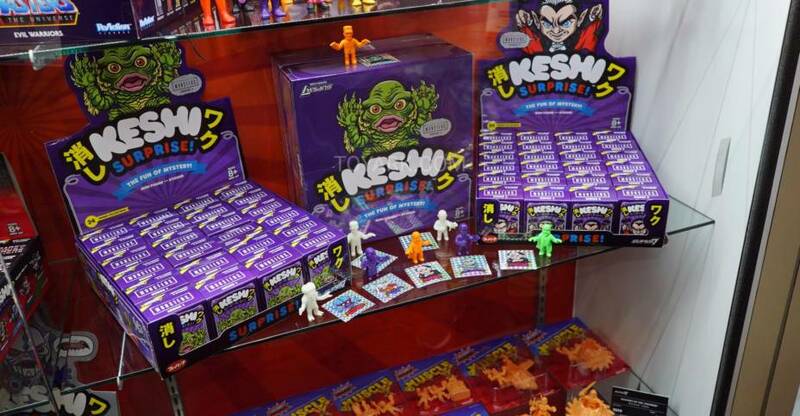 Here is the remaining items we took pics of from the Super 7 booth at Toy Fair 2019. 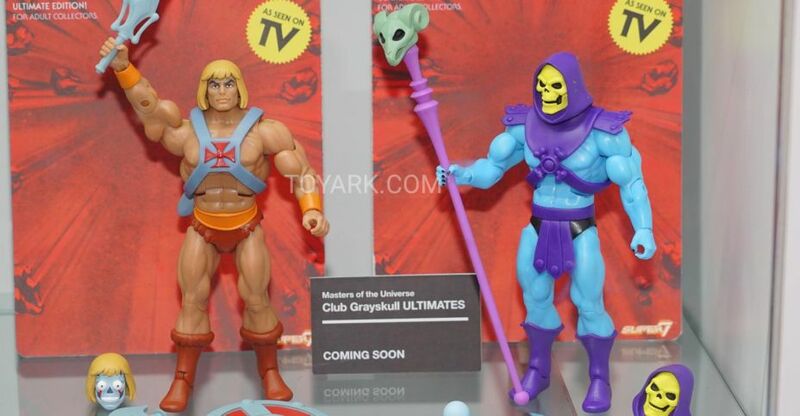 These include their blind box items, M.U.S.C.L.E. packs, Halloween buckets, and a few other items. The new Transformers x Star Wars Millennium Falcon has been revealed. The new images, which come from Weibo user LoveMomo5288, give us a look at the updated take on turning Han and Chewie into robots. The vehicle splits, much like the original Star Wars Transformers Millennium Falcon did, but with a new transformation and design. The ship still turns into Han Solo and Chewbacca and will include mini-figures of both characters. 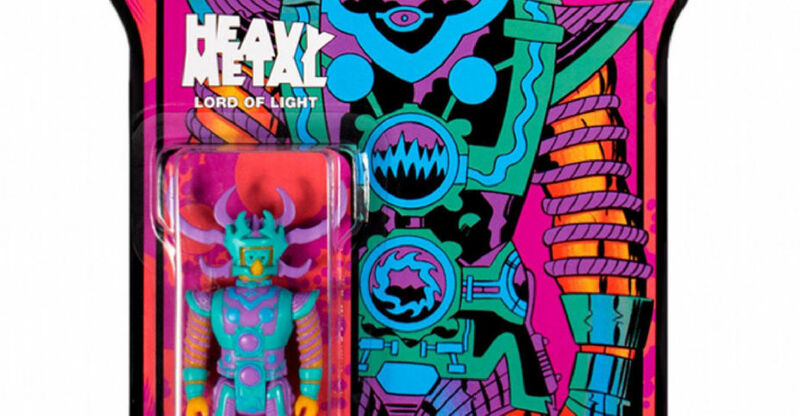 Big Bad Toy Store has opened up pre-orders with more details. 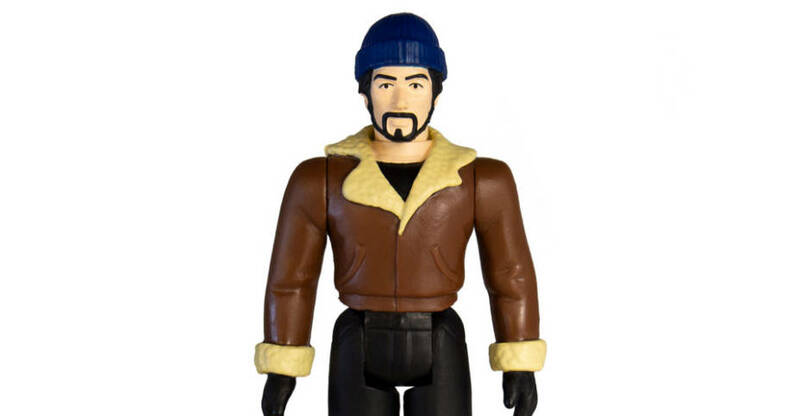 It’s priced at $134.99, with a release set for June. Pre-order it Here. 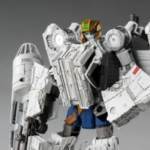 This mash up of Transformers and Star Wars gives the Millennium Falcon the ability to split apart and transform into Han Solo and Chewbacca robots. Robot Han can be armed with his blaster pistol while Chewbacca has his bowcaster. 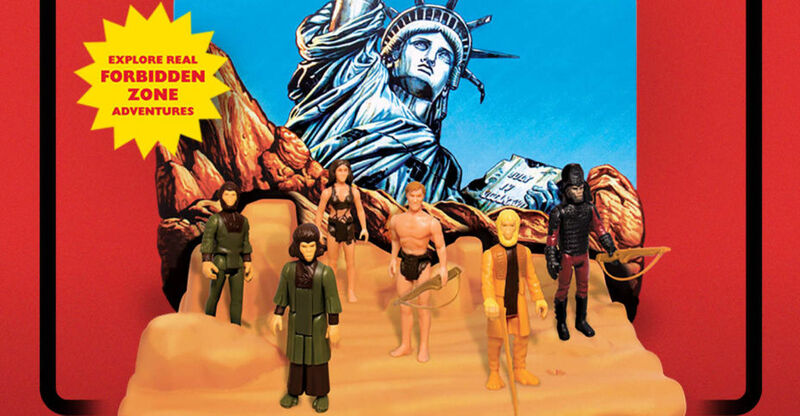 Mini figures of Han and Chewbacca are also included. Takara Tomy has released official photos and details for their upcoming Transformers x Street Fighter2 Figures. 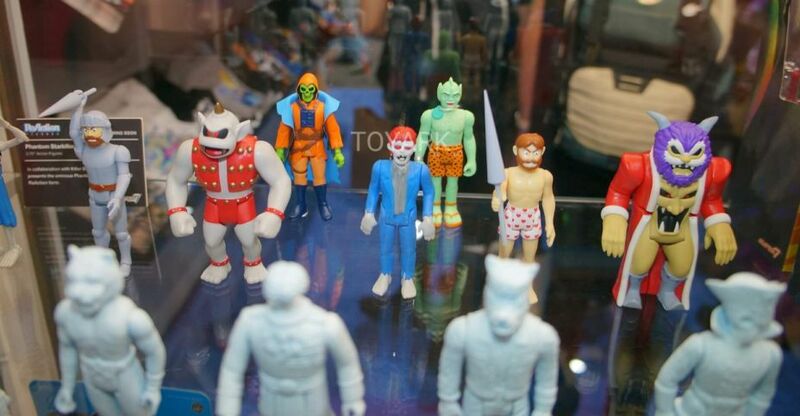 The figures will be Takara Tomy Mall Exclusives. 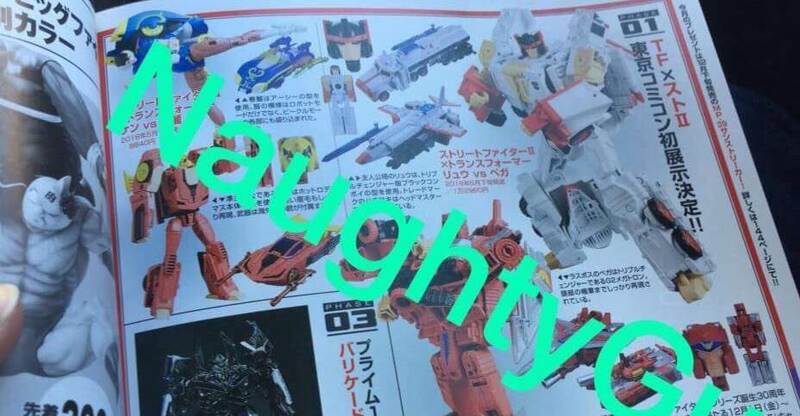 The figures will come in two 2-packs that include Ken (Titans Return Hot Rod) vs Chun Li (Generations Arcee) as well as a Ryu (Titans Return Octone) vs M. Bison (Titans Return Blitzwing). The Ryu vs M. Bison set are priced at 12,000 Yen (about $106 USD) and the Ken vs Chun Li set is priced at 8,000 Yen (about $71 USD). 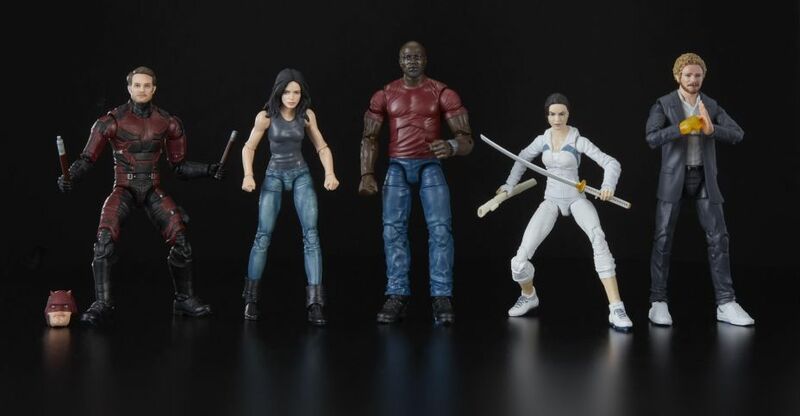 They are listed for a May 2018 release. In the latest issue of Figure King magazine, a wild new crossover line was revealed. 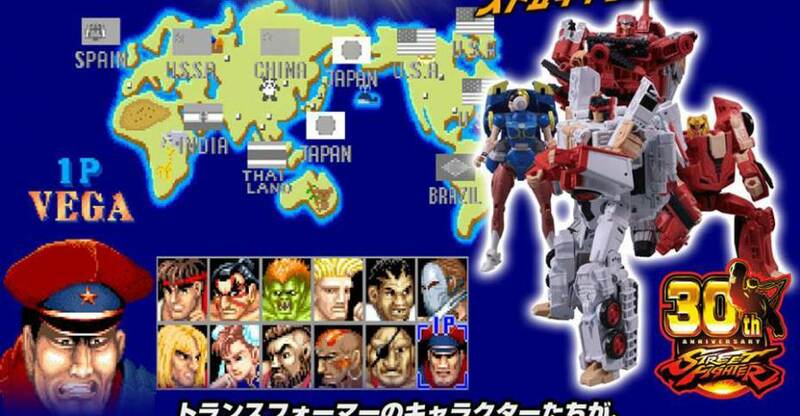 According to the images, Takara Tomy is releasing 2-packs of Transformers x Street Fighter 2 figures. At the time, there are two sets shown in the scan. These include Ken (Titans Return Hot Rod) vs Chun Li (Generations Arcee) as well as a Ryu (Titans Return Octone) vs M. Bison (Titans Return Blitzwing). The Ryu vs M. Bison set are priced at 12,000 Yen (about $106 USD) and the Ken vs Chun Li set is priced at 8,000 Yen (about $71 USD). They are listed for a May 2018 release. A few clearer scans have been revealed. The scans comes courtesy of Planet Iacon, via our sister site TFW2005 and @damnyouwillis on Twitter. You can see the image by clicking the banner image above.